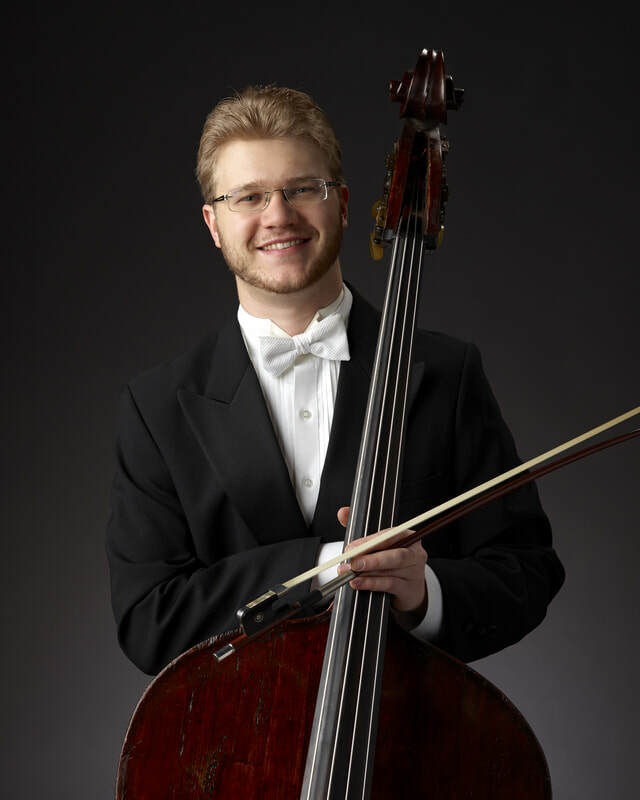 Derek Zadinsky won the audition to join The Cleveland Orchestra’s bass section in January of 2012.
the International Society of Bassists Orchestral Competition in San Francisco, where the prize was a paid week of work with the San Francisco Symphony. teaches privately and online through Skype. In 2014, he published an edition of J.S. Bach’s Cello Suite No. 5, which is available on iBooks for iPhones, iPads, and Mac computers. performances included Giovanni Bottesini’s Concerto No. 2 and his own arrangement of Pablo de Sarasate’s Zigeunerweisen. privately for four years with Jordan Anderson, the Principal Bass of the Seattle Symphony. on an early 20th century bow attributed to Andre Vigneron from the Parisian workshop of Corvisier, and more modern bows by Keith Peck and Reid Hudson. Arabella and Maverick. His hobbies include playing Xbox games with friends and family, automobiles, and watching football, basketball, and baseball games.